View of Motomachi-dori in Kobe, Hyogo Prefecture as seen from the direction of Kobe Station. The large building at the back is Mitsukoshi Department Store, located on Motomachi 6-2-12 (元町通6-2-12). 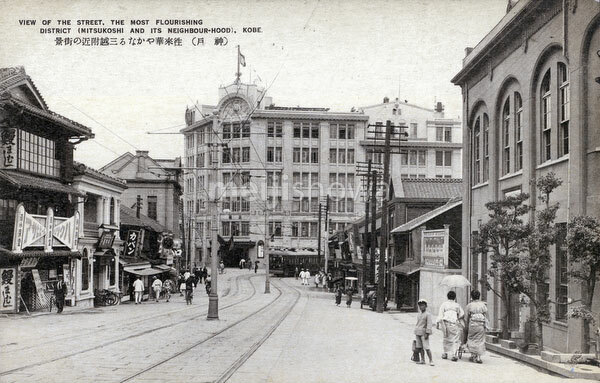 It was opened in 1928 (Showa 3) in the building previously used by Motomachi Department Store (元町デパート). The store closed in 1984 (Showa 59).